Special Discount: $50.00 per case of 100. 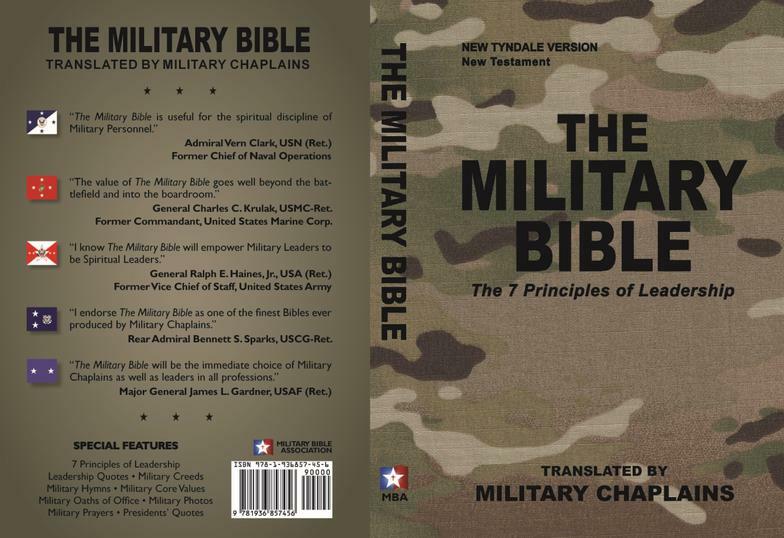 The special features include The Seven Principles of Leadership, Military Prayers by military chaplains, The Sinner’s Prayer by Billy Graham, Military Hymns, Military Creeds, Military Core Values, the Military Code of Conduct, Leadership Quotes, A Guide to Leadership Scriptures, Founding Father's Quotes, prayers of the presidents, and more. We sell by the case or individually. For a full case, please send check plus $17.02 shipping and handling per case. Mail payment to: Military Bible Association, PO Box 300366, Escondido, CA 92030. For credit card orders, please call or use PayPal on this site.